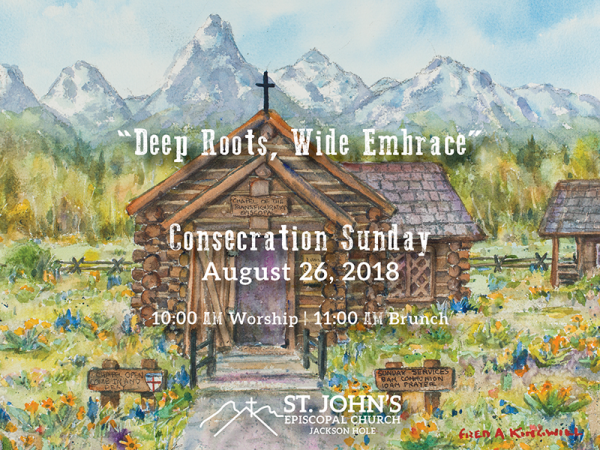 Our 2019 Stewardship Campaign reaches back acknowledging the faithful and generous mission of St. John’s Episcopal Church in this valley in the past. We’re celebrating the “deep roots” of commitment and service and the demonstration of love that are at the heart of who we are here in Jackson. And, our “wide embrace” states our intention to continue in this mission of love and generosity while we dream big dreams in how to expand the care we embody here and beyond. Our dream is that each person who lives in this valley will be blessed in some way by the work we do here at St. John’s. We hope that as a result of the good work of our faith family, our valley will become even more sacred and loving. Take a peek at our fun-loving skits to kick off the 2019 stewardship season below!